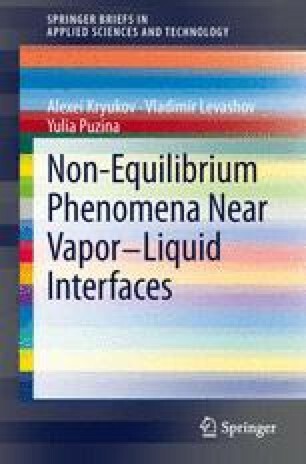 Development of continuum mechanics (fluid dynamics) methods in last century has provided progress of transfer phenomena description and calculation in bulk of solid, liquid and gas (vapor). However, it is well known that for successful solution of fluid dynamics equations corresponding initial and boundary conditions should be formulated. These conditions should be prescribed for all fluid dynamics values.